Starwood Hotels & Resorts will open a dual-hotel development in London in early 2017. The new-build Aloft and Element hotels will be located in Tobacco Dock in Docklands in the east of the city. Aloft London Tobacco Dock will be the second Aloft hotel in London and the third in the UK and will contain 251 rooms, a bar, fitness centre, a deli and four “creative” meeting spaces. The 77-studio Element London Tobacco Dock will mark the debut of Starwood’s “eco-wise” Element brand in the capital. It will feature one-bedroom and two-bedroom suites with fully-equipped kitchens. Starwood Hotels & Resorts president Michael Wale said: “We look forward to a long-term collaboration with the [developer] Fawzia Mubarak Al-Hassawi Group as we expand our portfolio of mid-market hotels in London. Starwood currently operates ten hotels in the UK, eight of which are in London. 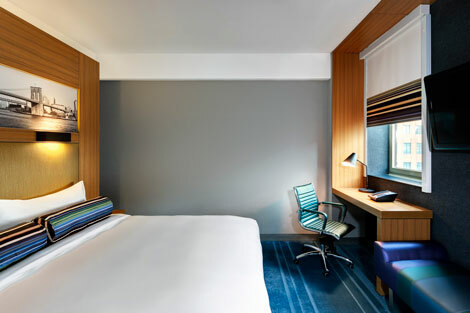 Earlier this year, it was announced that Starwood expects to open 35 new Sheraton hotels by March 2015 (see news, March 11).